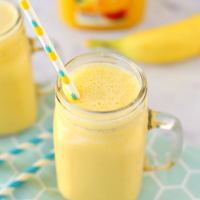 This Mango Orange Banana Smoothie is packed full of cold and flu fighting ingredients to keep you nourished and healthy during cold and flu season. Organic orange juice is blended with organic fruit, yogurt, coconut oil, and raw honey to create a delicious, immune-boosting smoothie. I partnered with Safeway to bring you this post. There’s so many things to look forward to this time of year — all the pretty fall colors, going to the pumpkin farm, eating and drinking yummy apple and pumpkin treats, watching fall sports, and so much more. The only thing I dread about this time of year is the onset of cold and flu season. From the time the kids start school, through what seems like the end of spring, we are always worried about getting sick. I try to be proactive about keeping germs at bay by doing simple things such as washing hands frequently, taking vitamins, getting plenty of exercise, and eating healthy. It seems like no matter how careful we are, we still get sick at least once during cold and flu season. Most of the time it’s just a minor cold or flu virus, so we don’t have to go to the doctor. 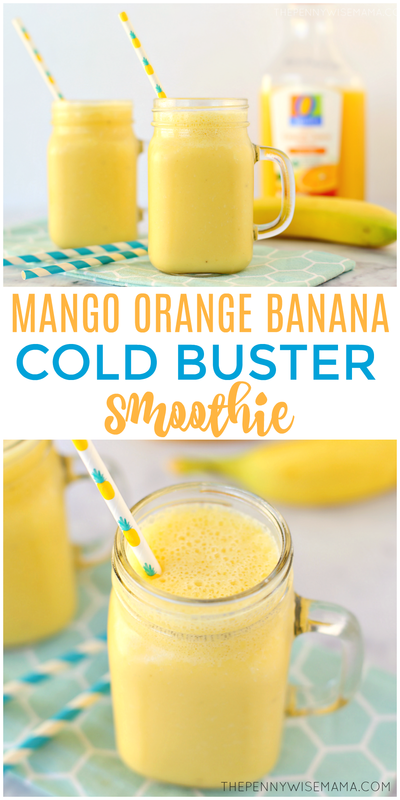 I’ve found that loading up on immune-boosting foods, like this Mango Orange Banana Smoothie, and taking over-the-counter medicine usually does the trick in about a week. When you’re sick, sometimes eating healthy isn’t enough and you need medicine to ease your symptoms. That’s when I turn to the exclusive Signature Care™ products from Safeway. 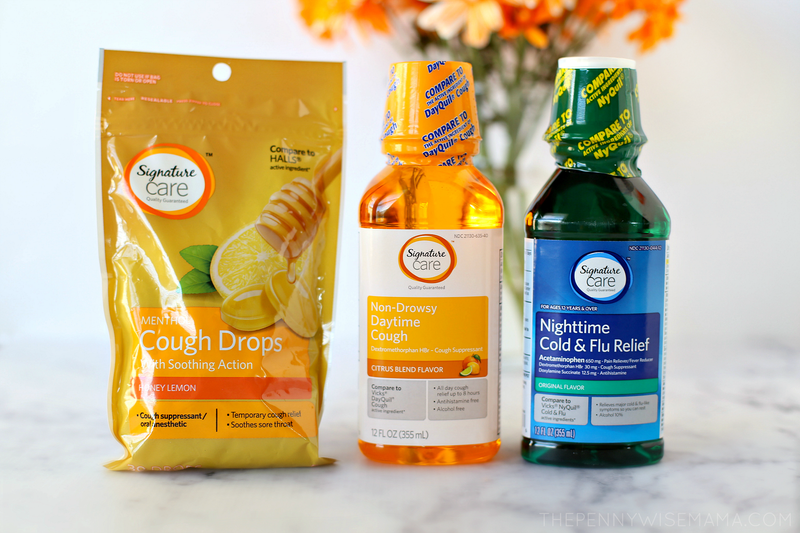 We’ve tried many different cough and cold brands and have found that generic/store brands, like Signature Care Cold & Flu Liquid Daytime and Nighttime and Signature Care Cough Drops Honey Lemon from Safeway work great. Signature Care products provide the same quality and relief as name brands do, only they cost less. That’s because they contain the same active ingredients and are subject to the same manufacturing standards mandated by the FDA as national brands. They are pharmacist recommended and the best part is they come with a 100% satisfaction guarantee or your money back. Smoothies are a great way to stay nourished and healthy all year long — not just during cold and flu season. I like to have one every morning for breakfast, or sometimes as an afternoon snack. They are, of course, amazing when you are sick. Not only are they delicious and refreshing when you have no appetite, they are also nutritious. 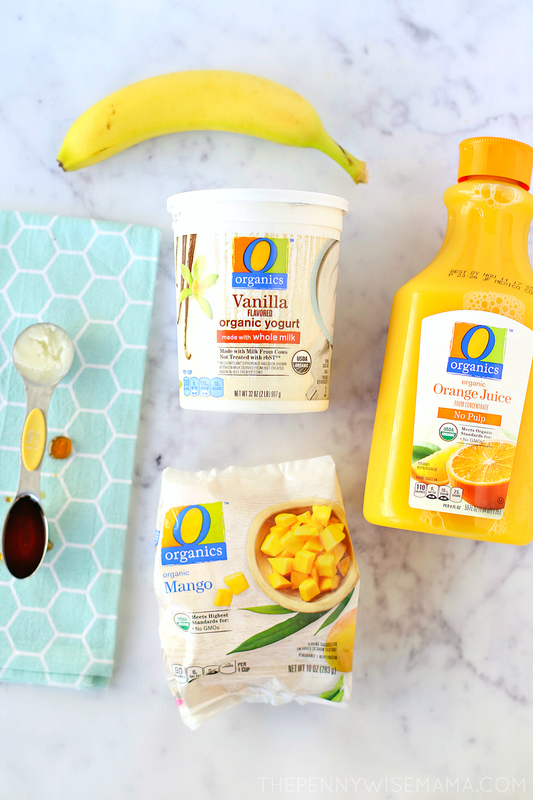 The yummy tropical flavor will make you feel like you are on a beach somewhere instead of feeling sick! I like to make this smoothie with all organic ingredients because it’s better for you (especially when you’re sick), plus it’s really not much more expensive when you use brands like O Organics® available at Safeway — one of my favorite places to shop for organic food. The quality of O Organics products is amazing and they taste great. What I notice the most is the difference in flavor — compared to non-organic, organic tastes so much better! 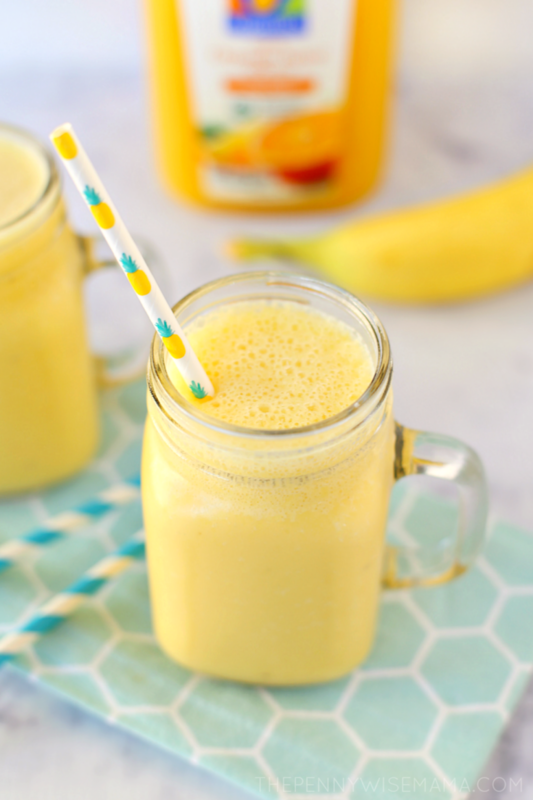 This smoothie is super easy to make! Simply follow the recipe below and you’ll have a delicious, nutritious smoothie in just a few minutes. 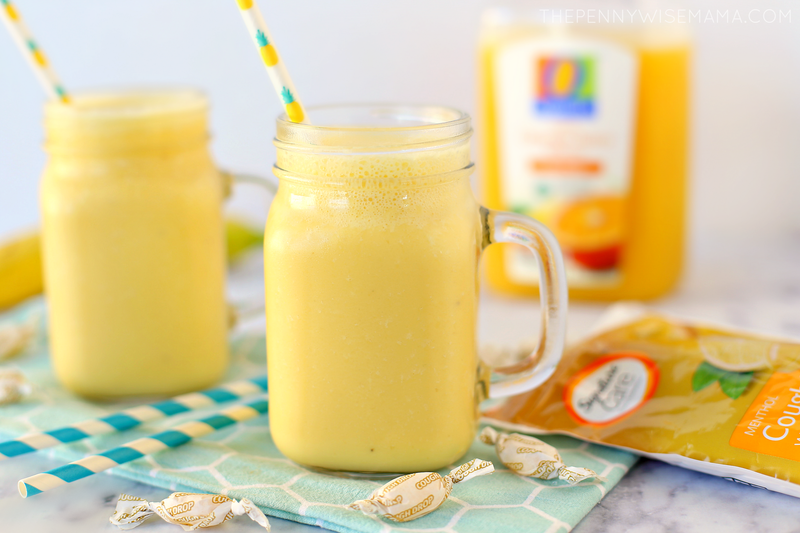 This Mango Orange Banana Smoothie is packed full of cold and flu fighting ingredients to keep you nourished and healthy during cold and flu season. Organic orange juice is blended with organic fruit, yogurt, coconut oil, and raw honey to create a delicious, immune-boosting smoothie. You can create a thicker smoothie by eliminating the ice and using a frozen banana. 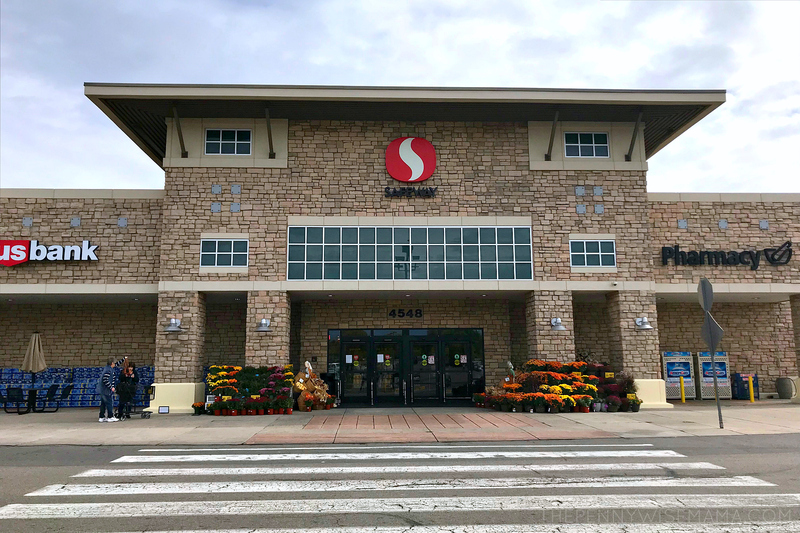 With cold and flu season upon us, now is a great time to stock up on the exclusive line of Signature Care cold and flu essentials, available in Colorado exclusively at Safeway. You can also find Signature Care products at all Albertsons Companies family of stores, including Albertsons, ACME Markets, Jewel-Osco, Vons, Pavilions, Randalls, Tom Thumb, Shaw’s, Star Market, United Supermarkets, Market Street, Albertsons Market and Carrs/Safeway. 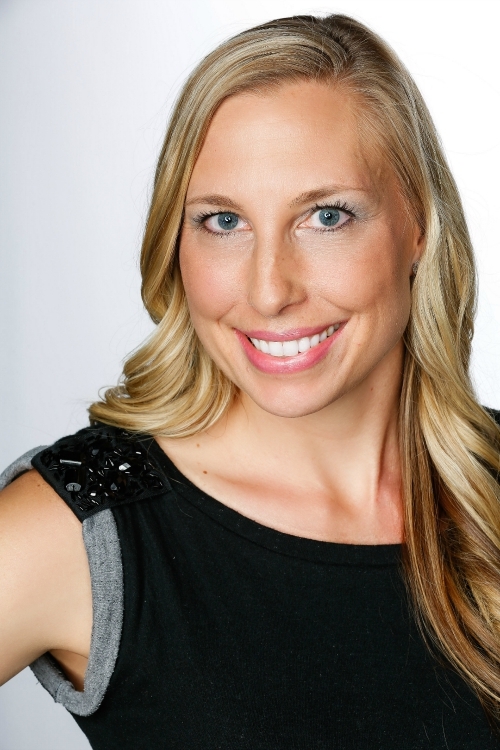 What are your tips for staying healthy during cold and flu season? This looks totally delicious! I usually think of smoothies as for the summer but since you labeled it as a cold fighter it started looking more like a winter smoothie- yum! This sounds like a great smoothie. I dread the colds that seem to show up every Winter around Christmas, so I take Vitamin C to try & stop them. But this smoothie looks like a tastier way to get Vitamin C, lol. 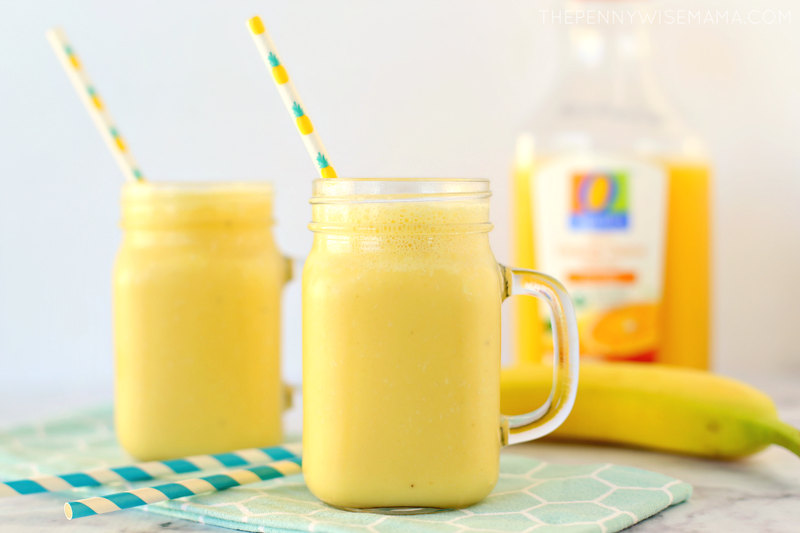 This looks like a delicious smoothie and so refreshing! 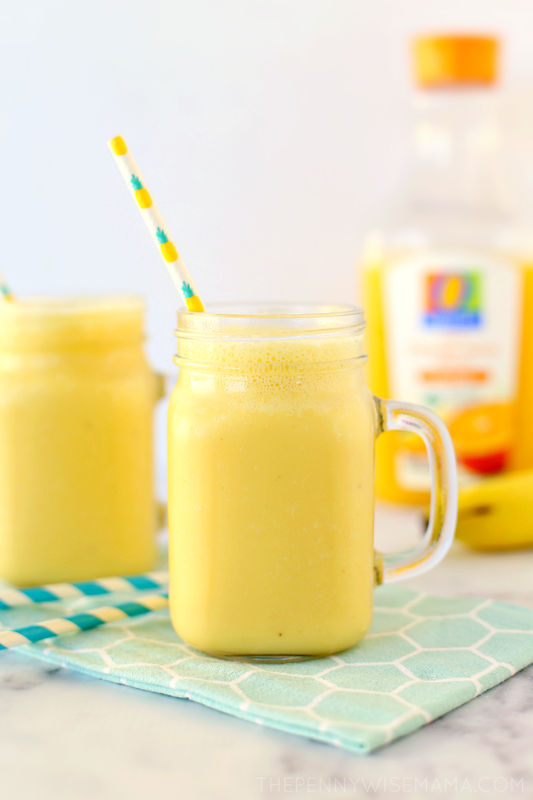 My family loves smoothies and this one sounds delicious! I need to make a big batch because winter colds have hit our home. Thank you for sharing this! Thanks for the recipe. It looks so delicious!